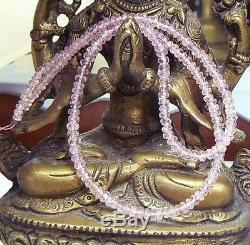 RARE NATURAL PURPLE PINK IMPERIAL TOPAZ FACETED BEADS STRAND 16.25 52.3ctw. 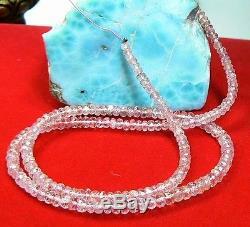 GORDEOUS 100% NATURAL UNTREATED IMPERIAL TOPAZ BEADS FROM BRAZIL!! EXTREMELY HARD TO FIND, ESPESIALLY THIS COLOR!! 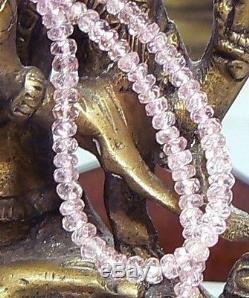 NATURAL PURPLE PINK FACETED IMPERIAL TOPAZ BEADS STRAND!!! 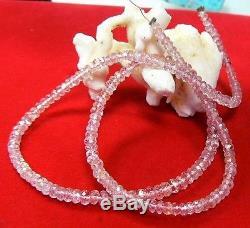 HAND FACETED RARE UNTREATED NATURAL BRAZILIAN IMPERIAL TOPAZ RONDELLES!! 100% NATURAL PURPLE PINK COLOR!!! TRANSLUCENT, HIGH GEM QUALITY IMPERIAL TOPAZ RONDELLES!! 52.3 carat total weight!! 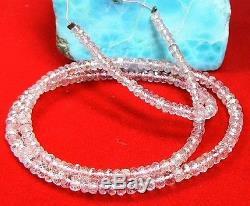 THE IMPERIAL TOPAZ BEADS MEASURE from 1.5 x 3mm to 2 x 4mm!! Perfect for any design project!! 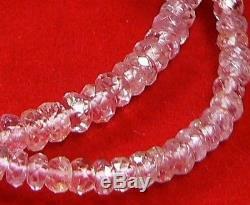 RARE BEAUTIFUL NATURAL IMPERIAL TOPAZ BEADS FOR YOUR CUSTOM DESIGN OR COLLECTION!! RARE GORGEOUS IMPERIAL TOPAZ FOR YOUR CUSTOM DESIGN PROJECT OR CUSTOM COLLECTION!! 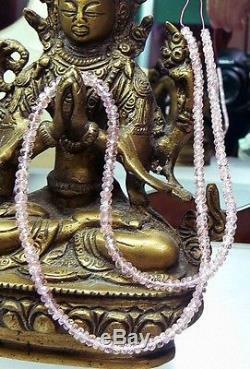 The item "RARE NATURAL PURPLE PINK IMPERIAL TOPAZ FACETED BEADS STRAND 16.25 52.3ctw" is in sale since Saturday, February 9, 2013. This item is in the category "Jewelry & Watches\Loose Beads\Stone". The seller is "aphrodita_8" and is located in Brooklyn, New York. This item can be shipped worldwide.